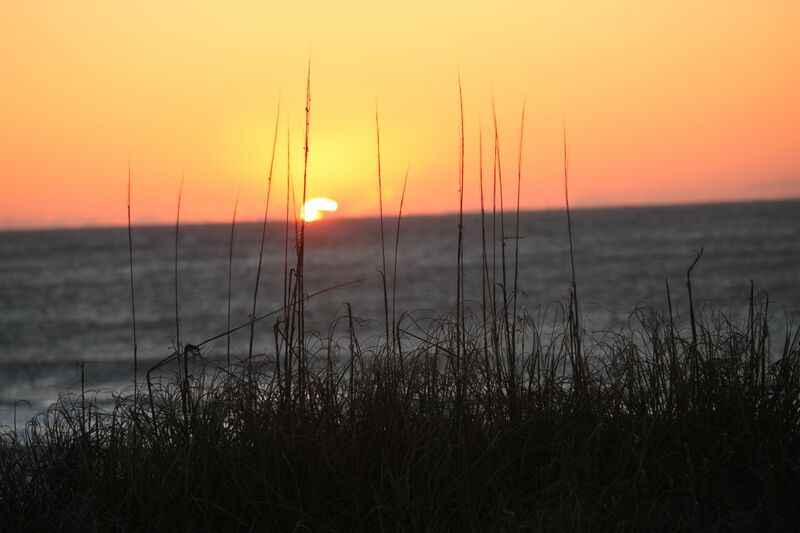 I awoke before first light, threw a coat over my nightgown and headed out to the beach. I wanted to catch that first liquid gold as it poured over the waves. The sand was cold under my feet as I topped the dune. 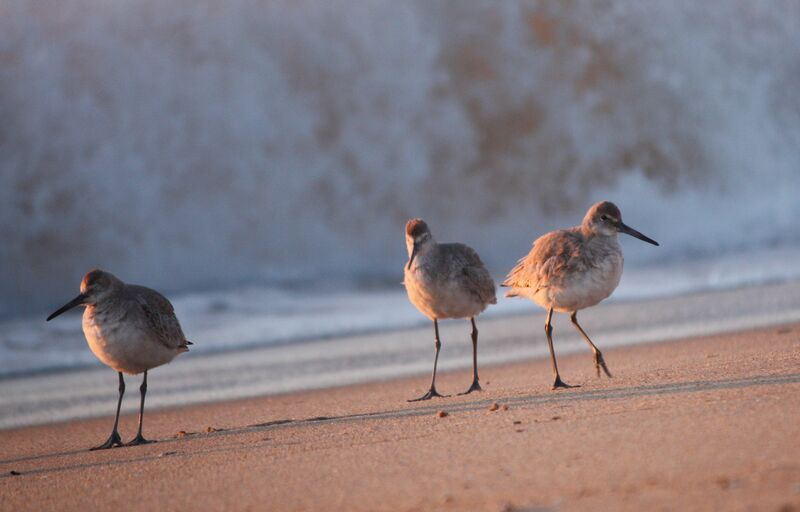 As the light strengthened, I saw birds sleeping at the surf line. I fell to my knees and crept forward. I knee-walked across the sand, then fell flat on my belly. 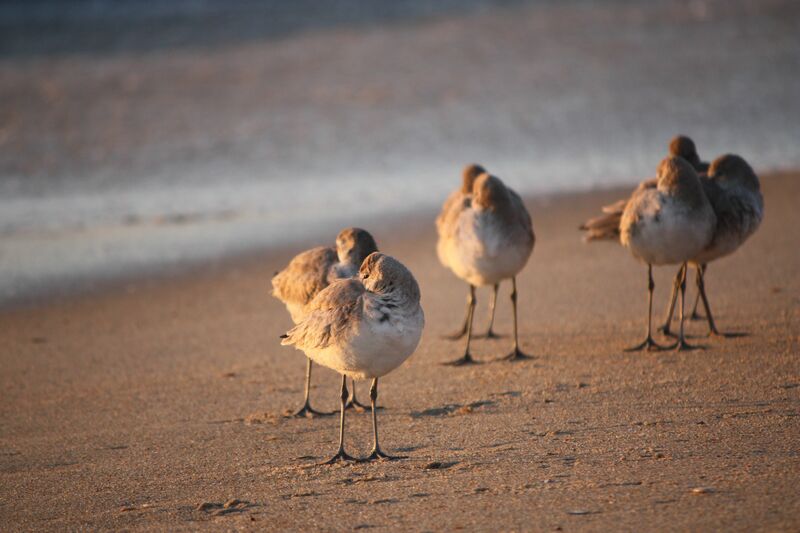 The light brightened and the willets roused. They looked around blinking sleepily in the light. One yawned and stretched a leg and a wing. 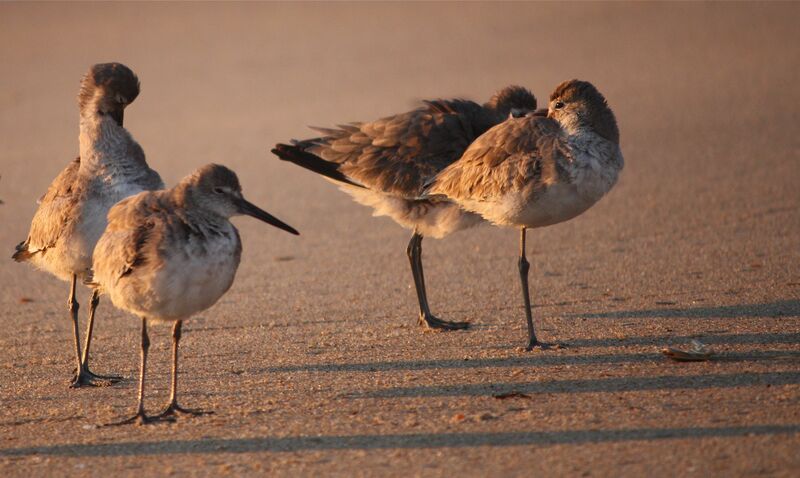 The freshening tide swamped the delicate feet of the Willets, bringing with it renewed energy. 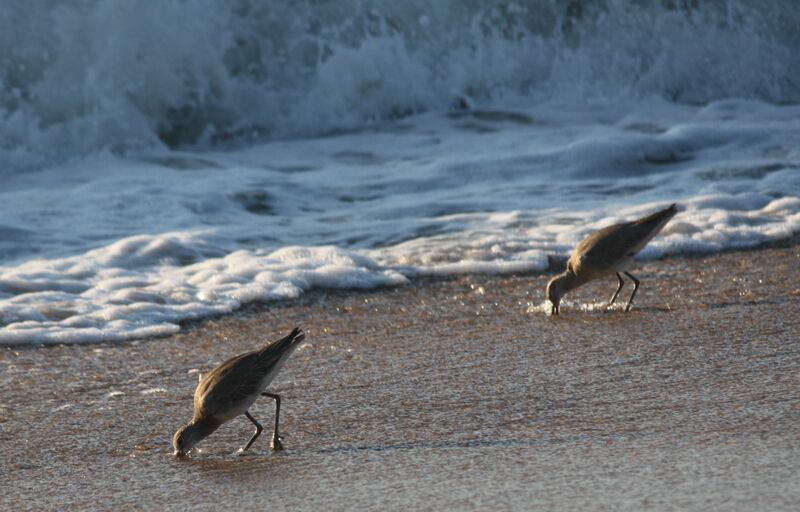 The Willets now fully awake began probing the sand. 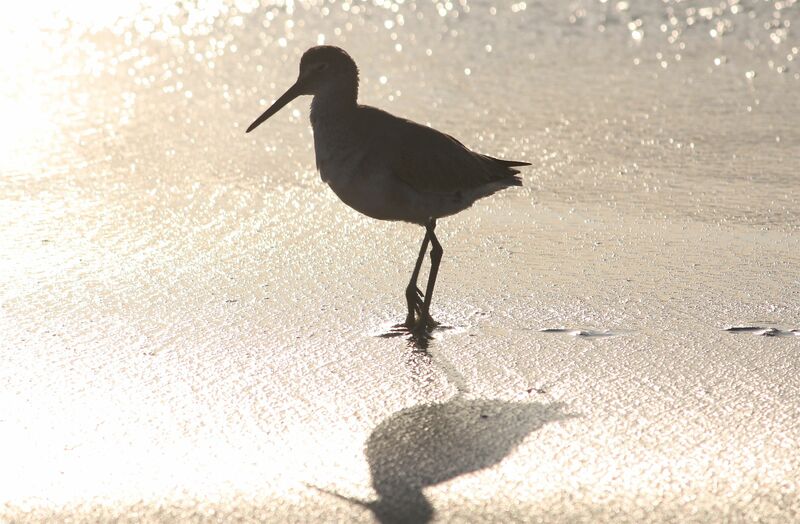 When the light turned from gold to silver, I lurched to my feet, cold, stiff and sand covered. 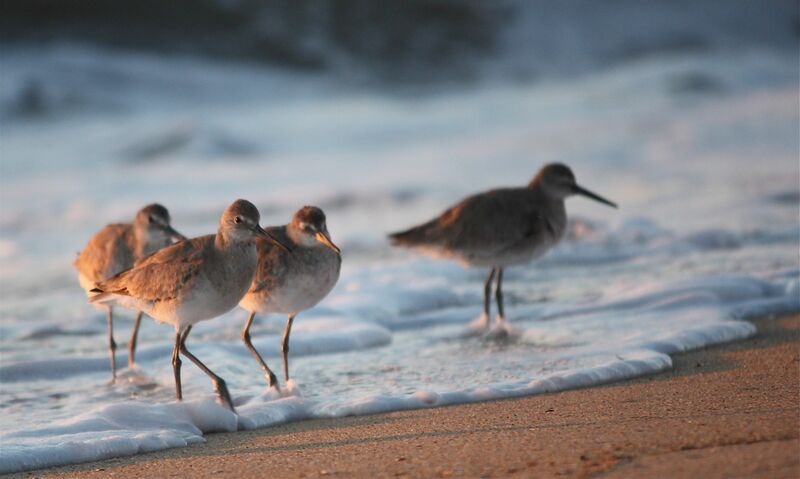 The Willets fluttered further down the beach. With a parting shot, I headed in with gold-dazzled eyes and the promise of coffee in the air. Look at those screaming yellow legs! Can’t mistake this for anything else.